RPG Maker is a software developed by Enterbrain. It allows just about anyone to create a RPG game reminiscent of the classics games on the SNES. There is unfortunately very little documentation available with the program itself which is why I have undertaken to write numerous articles in order to make RPG Maker VX easier to use. In case you’d like to read more of my articles about this topic, please click here which will give you access to my profile where all of my articles are regrouped. considerable quality and worth playing? Most importantly, which games are complete? 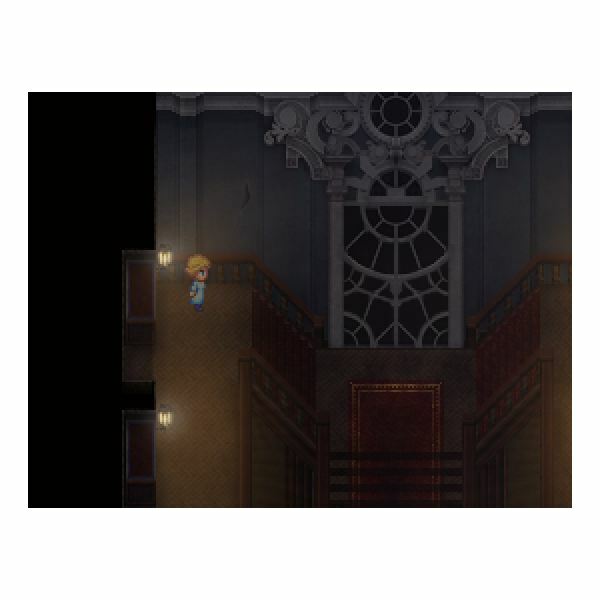 In this article, I will introduce some of what I consider to be the best games for RPG Maker VX. Keep in mind that this selection of games merely represents my tastes and they certainly do not represent the only good games out there. If you'd like to suggest some great RPG Maker VX games, please leave me a message in the comments down below and I'll see what I can do. "Eyes Without a Face" is a game made in one week for a contest called "Scary Movie." As the name suggests, the contestants were to pick a movie as the muse of their game. In this scenario, Team Cascade picked a 1960 French movie titled: "Les Yeux Sans Visage." What you we have created draws great inspiration from the film, but we don't seek to replicate it. We wouldn't want Franju (the director of the original Les Yeux Sans Visage) spinning in his grave. 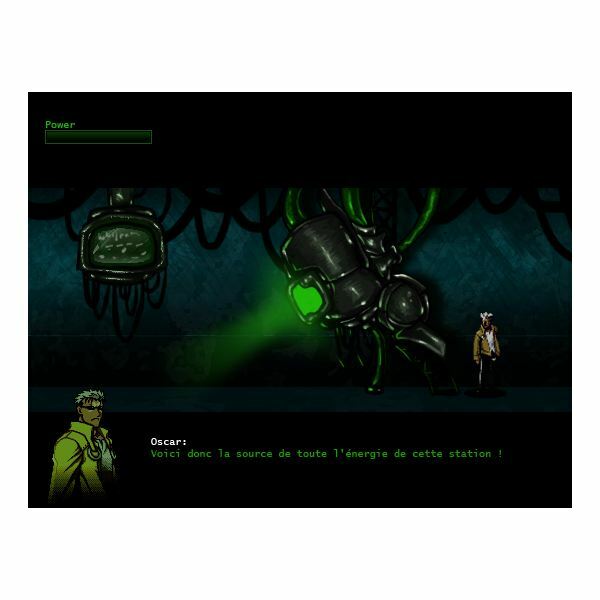 Born out of a collaboration of three artists, Eyes without a face is great horror game which certainly shows some polish. which makes the exploration of an old, vacant (or not so vacant) manor all the more exciting. I would say it’s only flaw is probably its length as the game can be beaten in at most 15 minutes. 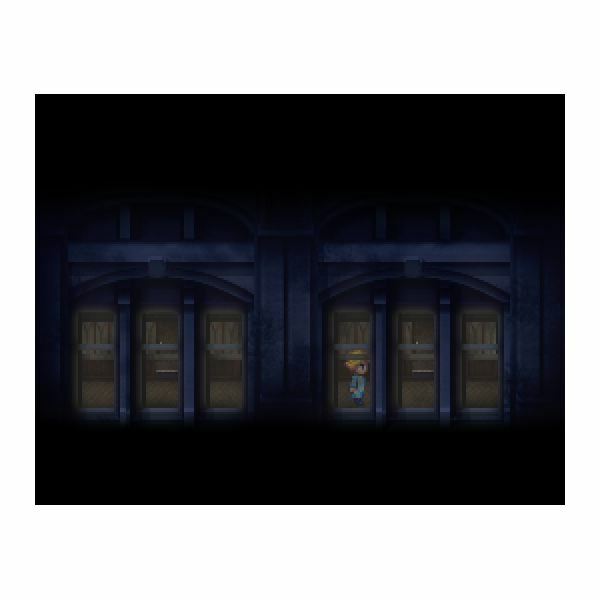 There are multiple endings however which would certainly justify numerous play- through. Definitely a must play for all of the horror fans out there. 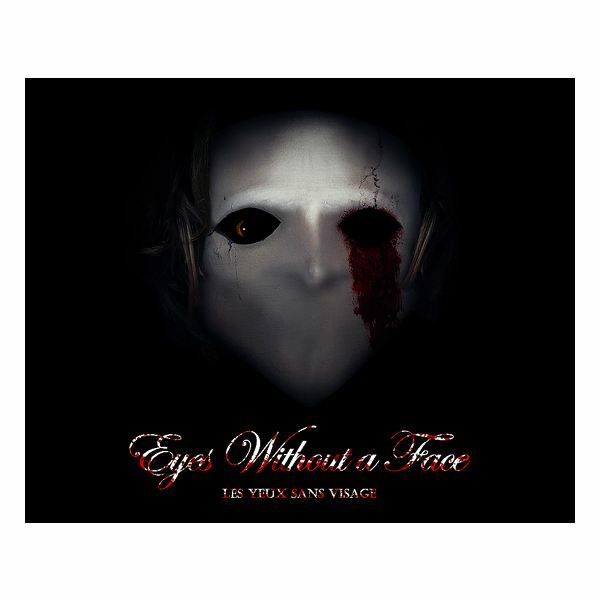 The game can be downloaded by clicking here: Eyes Without a Face. Also keep your eyes peeled for the next upcoming game by the same of creators, Bit Bonton. 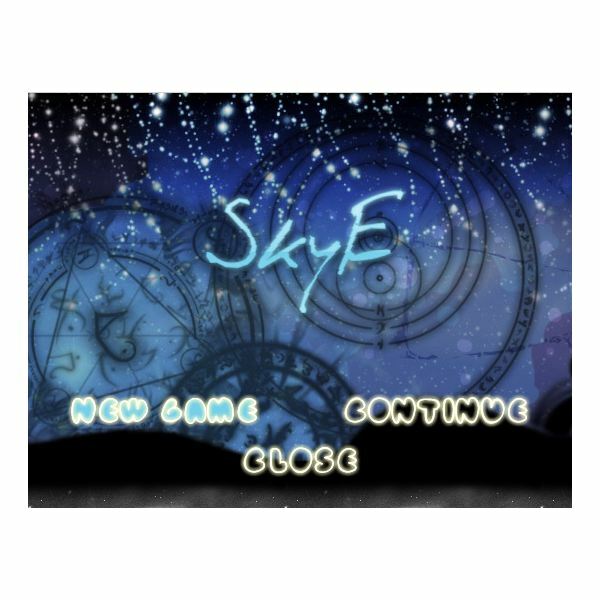 SkyE is a light sim-like game where you play the role of Celeste, a graduate Sky Knight who is taken on her final ranking assignment with her teacher, Knight Commander Svarus. You will be investigating the Rayth outbreak that has only begun at the newest Chromadus Academy for Raye Engineers and Directors. 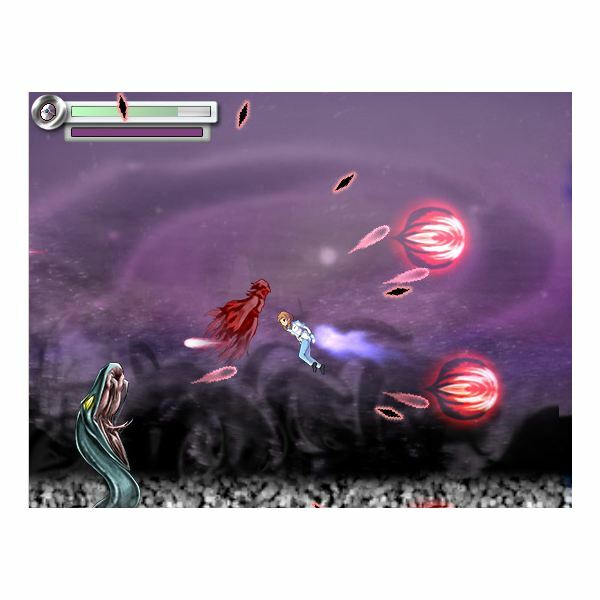 The game heavily centers around real-time shmup style side-scrolling combat. endings and branching paths which will require a few play through of the game. The custom art is great to look at and the very nature of the game almost makes your forget you’re playing a RPG Maker VX game (until you see the menus and the font in dialogue boxes). That is not to say SkyE doesn’t have some RPG elements. In between each fight, you’ll get the opportunity to customize your character’s stats as well as his equipment (and weapon). Definitely a must try for those players looking for something different than your typical fantasy JRPG. You can download the game by clicking here: SkyE. Where to get some Games? If you’re looking for some RPG Maker games to play, your best bet is to head to RMN. Not only will you find hundreds of games, but they’re also hosted on the website. No more megaupload, rapidshare and mediafire as all of the files are hosted on a fast server. By heading to the games subsection, you can sort the games by using all sorts of variables and tags. 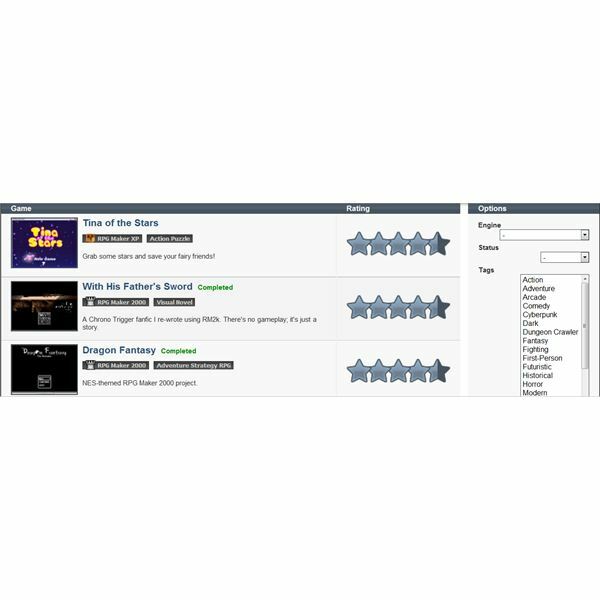 A good way of quickly identifying which games have good potential is to check the rating, read the reviews and keep your eyes on the amount of downloads. The idea at RMN is that every game has its own personal space where blogs, images and other related elements can be updated and shared with the members of the community who can then subscribe to projects they find interesting. Here’s a screenshot to give you a better idea as to what the actual website looks like. Disclaimer: The art, script or games provided here do not belong to the author of this article. For this reason, links have been provided to the original artists. Watermarks have also been put in place in this article. If you have any issues with the art provided here, please send me a message or leave a comment in the section below. Please remember to credit the creators of the artists who provide this art free of charge for your enjoyment. Thanking the authors can be as simple as mentioning their name as well as their contribution in the credit of your game. Thank you. A series of article about RPG Maker VX.